There is a world of difference between a community and a crowd. 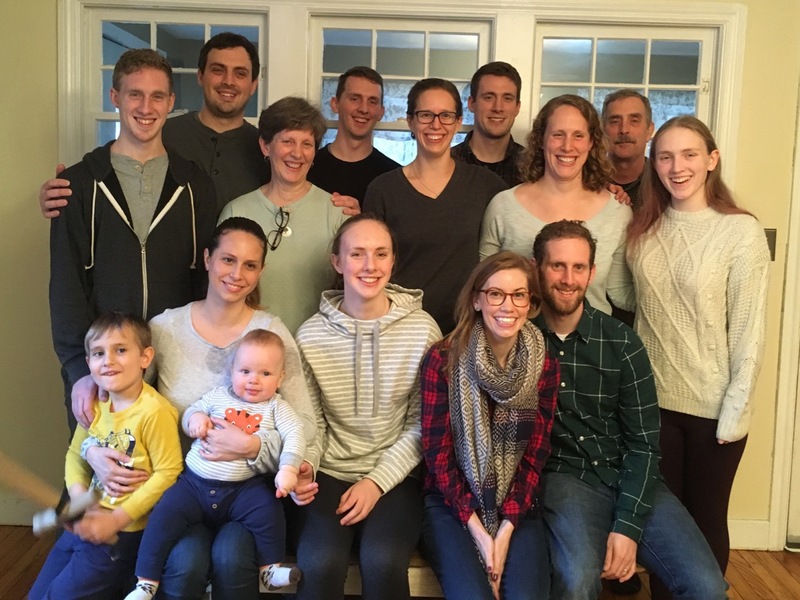 People often comment on the size of our family — “That’s a crowd!” But the truth is that family can be the very best of community, united in love. A common purpose and working together create community, even when languages and religions are different. The small town of Greene, NY, is community. 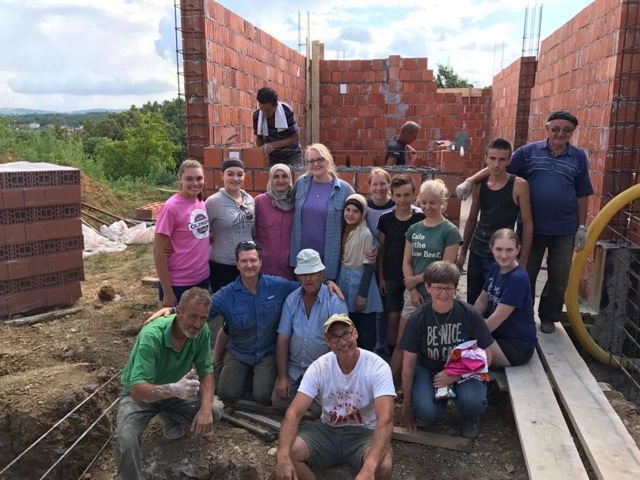 When the village flooded some years back, we watched neighbors tirelessly helping neighbors and it struck me that this is a special community. 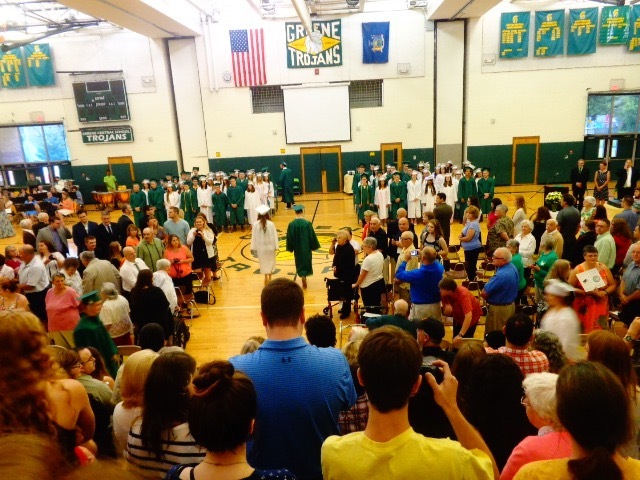 This high school graduation may look like a crowd, but it’s a community. 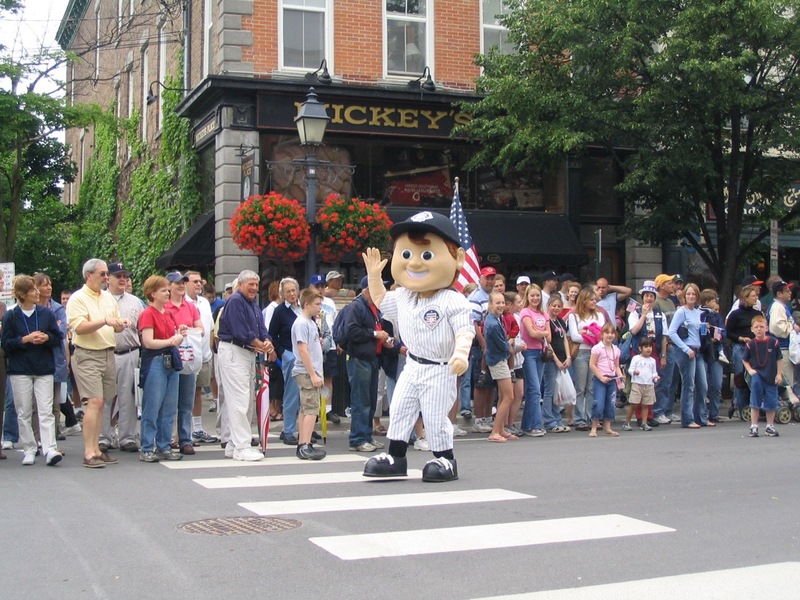 And then there’s Cooperstown, whose population swells from 2,000 to 50-, 60-, 70-thousand on Baseball Hall of Fame Induction weekend. Of course not everyone is like this, but an awful lot of make-a-buck people, get-that-autograph people, and swoon-at-celebrity people take over the village. The tip of a very large iceberg — Cooperstown draws crowds. 2004? Along the lines of community, on Monday, I was reading a post from one of my favorite sites: The Rabbit Room. As I read the next line, though, I became troubled. We believe social media is the key to shaping the world into a better place. Oh, golly, I thought. I guess we’re moving in different directions. As they laid out their vision, I became more and more sure that this was a parting of the ways — until, that is, I came to the Grammar Police. Our Grammar Police™ filter will automatically correct abbreviated textspeak and fill in you’re every missed Oxford comma, incorrect apostrophe and dangling modifier. I looked at the “you’re” and the date, and started laughing. I had been April Fooled. This is such a nice theme to visit. I was pleasantly surprised by the supportive community I’ve found on social media (namely, FaceBook and WordPress). Yet there’s a real need for reaching out and creating a caring community in real time. I can imagine some of the locals get out of Cooperstown for that weekend.